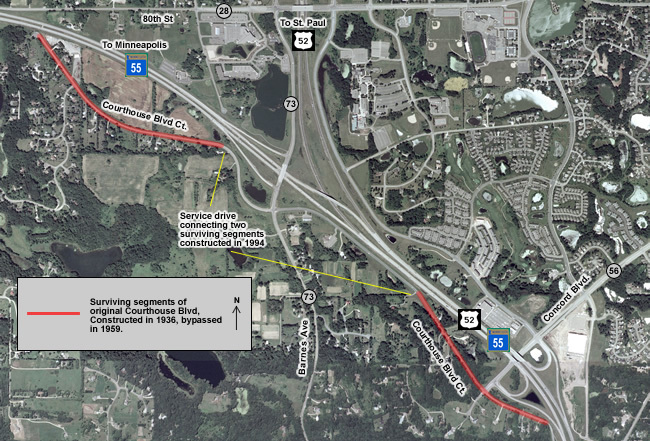 Two segments of the original incarnation of Courthouse Boulevard survive as parts of Courthouse Boulevard Court, the south service drive near the the interchange of modern Courthouse Boulevard with the Lafayette Freeway in Inver Grove Heights (see map below). 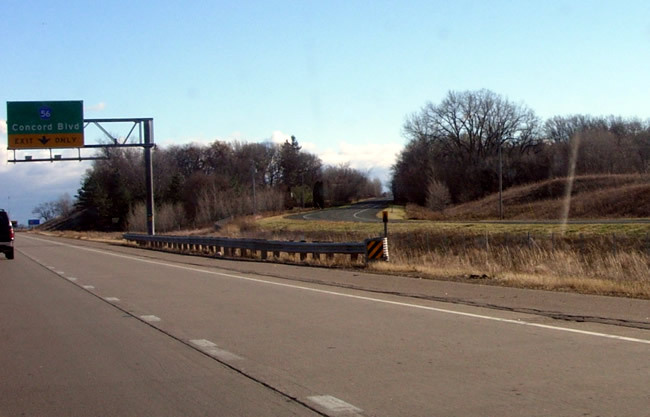 Courthouse Boulevard was first constructed in 1936 to provide a direct connection between the Mendota Bridge and the highways leading to Hastings and Rochester at Pine Bend. 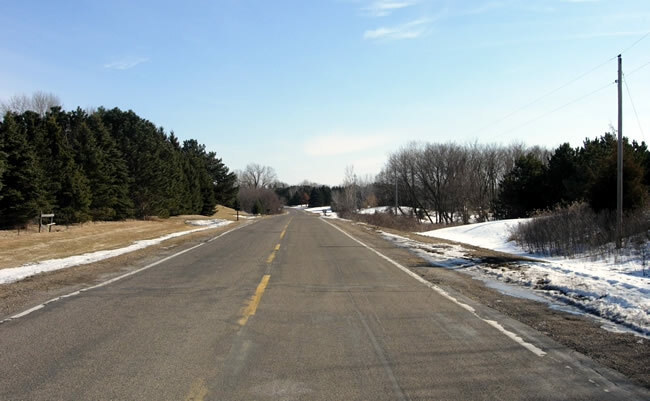 It was initially marked as a duplex of US Highway 52 and State Highway 55. 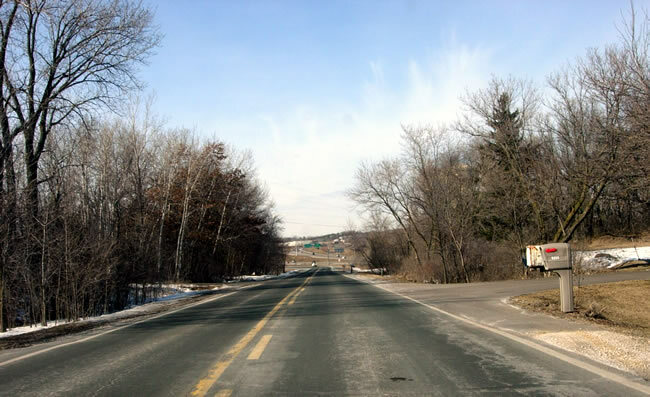 The original two-lane road was used until Courthouse Boulevard was upgraded to four lanes between Pine Bend and the junction with South Robert Trail (now Highway 3) in 1959. The four lane road built in 1959 served until 1994, when Courthouse Boulevard was again reconstructed, this time to freeway standards as part of the construction of the interchange with the Lafayette Freeway. 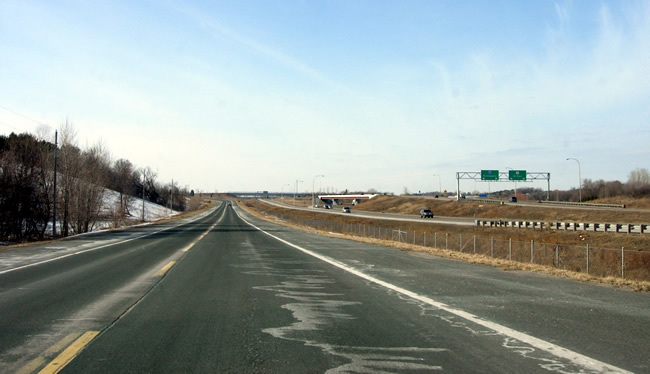 Prior to 1994, both segments of the old alignment had been separately accessible from the main highway. 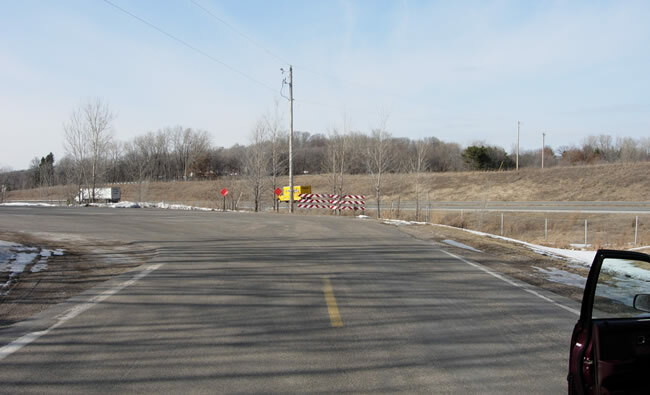 Because of the freeway upgrade, the old access points were closed and a service drive was constructed to link the two old segments with Barnes Avenue (County Road 73). Photos were taken in February, 2006 unless otherwise noted. Photos are ordered roughly from south to north. Driving northwest on the southern surviving segment of original Courthouse Boulevard. A little further along on the southern segment. 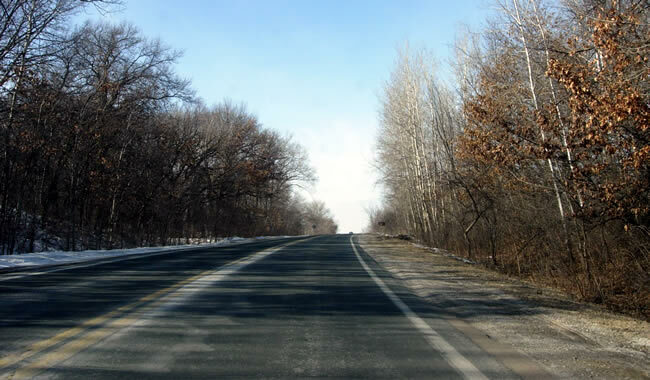 The modern highway is visible ahead. Driving southeast on modern US 52/Hwy 55, just before the Concord Blvd exit, looking back towards the perspective of the previous photo. The service drive ascending the hill in the center of the photo is the beginning of the southern surviving segment of original Courthouse Boulevard. Photo taken in November, 2005. Driving northwest on the service drive linking the two old segments, constructed in 1994. The interchange of modern Courthouse Boulevard with the Lafayette Freeway is visible on the right. Looking northwest on the northern of the two surviving segments. Looking back to the southeast on the northern segment. 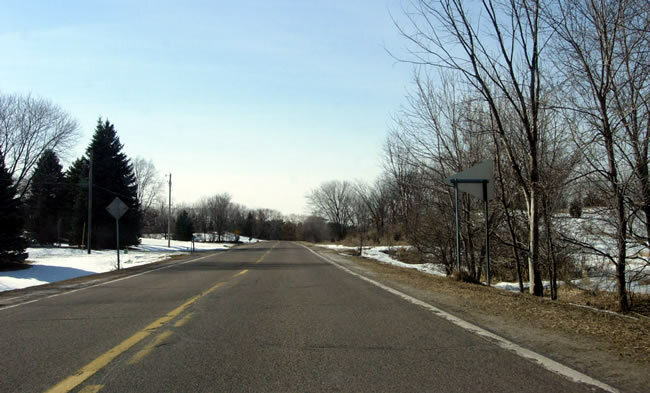 The north end of the old alignment once connected directly with the modern highway. It was plugged with a cul-de-sac in 1994.